In times of budgeting, we are often exposed to the question regarding how to identify and argue what is a reasonable marketing budget. As for many other questions the short answer is "it depends", and here we take it a bit further than that. Over the years I've had the privilege to operate both within strategic communications and marketing procurement. I dare to say I'm "painfully aware" of the question's complexity. During my career within marcom procurement I sensed that there had to be something else to efficiency gains than just "taking out spend", that there is a correlation between budgets spent and end result for your business. Some sort of ROI for marcom budgets. My job would then rather be to find agencies that could deliver on such a promise, than to solely negotiate rates and project costs. The end result was a Supplier Scorecard that encouraged partnering with agencies able to prove their contribution to my business. You can read more about this in my very first blog post at Zooma: "What really matters during Agency selection?" So, let's make one thing clear: A couple of trends will enable the answer to this question to be more precise in a relatively short period of time. A more positive and productive working relationship between Sales and Marketing. Regardless of how familiar you are with the Inbound methodology, we can all agree that marketing's core mission is to generate leads in order for sales to turn into customers. Still, a number of hurdles have prevented us from measuring ROI on our activities, and thus Marketing has been looked upon as a cost-centre. As a consequence, budget allocations vary over a business cycle. In good times, and when there's an important "inside-out-message", budgets increase. As for the rest of a business cycle, you are targeted as a possible provider of "savings". Which, in return, takes you further away from the initial goal; to maximise the number of leads generated. Many organisations neglect the fundamental mission (mainly due to lack of measurability) and look more to parameters such as "awareness" and "brand perception". With that approach, you tend to end up with the "natural law" that you can allow yourself spending less a year or two, and gain it back at a later stage (not saying that this is even close to true). Go-to-market Strategies elaborates well on the subject. 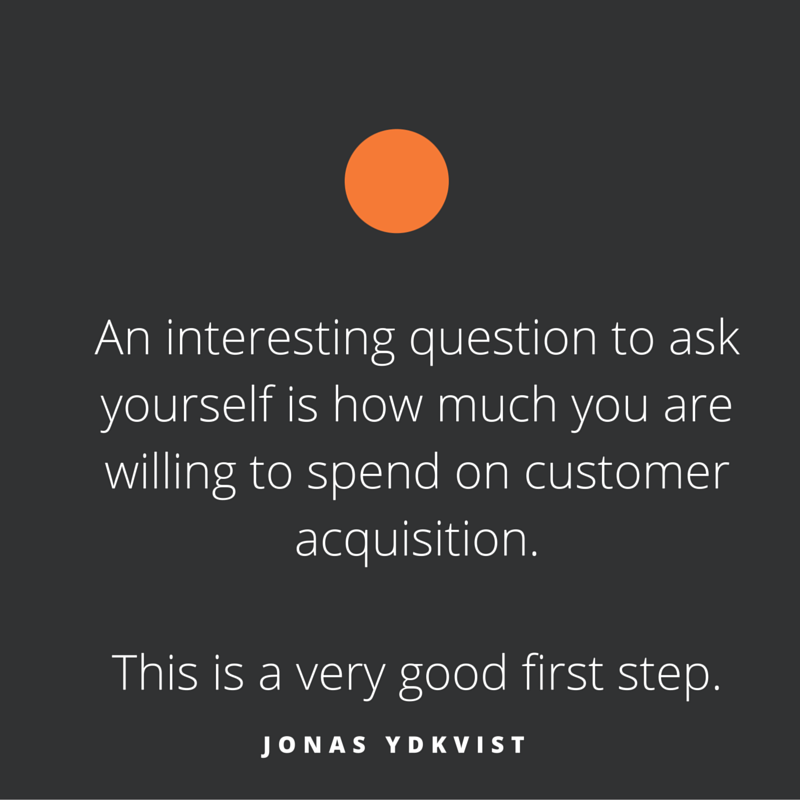 An interesting question to ask yourself is how much you can spend on customer acquisition. This is a very good first step. As you can sense, when you find the right methods to turn from cost to profit, the question in the title of this blog post is close-to obsolete. Even though there's a lot of data available on the subject, for instance Inc.com treats this way of identifying a reasonable budget as "What not to do". The second hurdle to overcome is the classical dilemma of distrust within your company. CEB data show that, on average, sales reps are more willing to follow-up on their own leads that involve a customer’s procurement department than they are to take leads from you. Trust doesn’t happen overnight, but by humanizing Sales and Marketing and encouraging transparency on both sides, you can develop trust, and improve overall lead quality and lead process management. A good start to get going with this topic is to read Martin Olausson's post on "How to build an Inbound Marketing Team". Before you reach this self-playing eco-system, let's return to the original question. 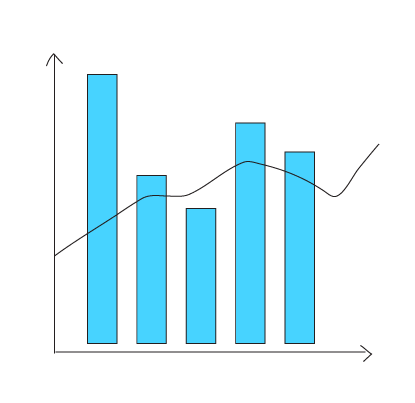 The CMO Survey indicates that if you're in B2B some 6-10% of your revenue is reasonable to invest in these activities. In the survey it corresponds to around 10% of your total budget (including salaries). Go-to-Market Strategies confirms this, stating that 21% of their surveyed contacts spend 6-10% of their revenue on marketing. It's worth keeping in mind that 28% of their responses claim they spend only 0-2% of their revenue. Executive Street follows the path and shows quite similar figures, slightly higher for B2C companies. Finally, some figures from Gartner (dated 2013) claim 10,4% of companies' revenues were spent on marketing. In this article, you can also find interesting info on how the budgets generally are allocated. Remember, these rules of thumb are not indicating your communications budget alone, it's your marketing & sales budget. Which is a good way to look at it, when you're striving towards a more productive collaboration between departments in your company. If you are lacking the ability to measure and prove the ROI of your marketing expenses, the above should work as a rule of thumb. In the meantime we strongly recommend you to start your journey to move away from being treated as a cost-centre and become a profit-centre. The best way to do that is to get going with inbound marketing.